With the national trend of institutional achievement being measured by the number of graduates who go on to the next level of college or career, Harrison School District Two (HSD2) has pioneered a program to improve student success. The partnership between the HSD2, Pikes Peak Community College, Pikes Peak Workforce Center and Discover Goodwill will provide cross system collaboration on quality program practices. The partnership brings in alignment the student success plan that connects students’ strength-based academic competencies to identify career opportunities with focused attention on preventing stop gaps for matriculation and transition from each milestone achievement. The program will propel the high risk student populations’ success in pre-collegiate, post-secondary education, degree/credential attainment and career readiness. The diligence of this effort to create systemic networks that successfully impact high risk students’ ability to navigate their paths to college and career will provide replicable results and tools for many educational institutions and economic agencies to turn “high risk” students into positive and productive community members. HSD2 has a graduation rate of 77.6 percent. However, our Career Readiness Academy (Alternative Education Site) has a graduation rate of 38 percent with a 78 percent remediation rate and a variety of intensive learning gaps or challenges. Our “door to door” initiative will extend from HSD2’s dropout recovery campaign to the doors of Pikes Peak Community College to earn a two-year degree or certificate. That, in turn, will lead to employment support through the doors of the Pikes Peak Workforce Center and Discover Goodwill. Each student will specialize in a specific trade of interest that is aligned with the workforce in the state of Colorado. With intensive academic support, our students will earn a high school diploma and a two-year degree or certificate. Our goal is to ensure that Career Readiness Academy students are prepared to create their own educational and career successes that will take them from the doors their K-12 school to the doors of their chosen careers. Unfortunately, some youth in America are not likely to succeed in the general education setting. That’s why we have developed this initiative to ensure that all students are successful as they matriculate through their K-12 educational experience. The Student Success Plan will serve as the roadmap to blend competence and connection to a productive future. Intrusive advising. Clear path to on-time completion is prepared for students via individualized learning/academic plans as well as a financial literacy action plan. Coherent and informed academic majors, programs and careers. Matching student skills and interests with an academic program plan and workforce pathway via career assessment plans, individual career academic plans and college in Colorado. Milestones. Courses and workshops that provide realistic assessments of student progress and give students early signals about their prospects for success in a given field of study or career via 21st century skills workshops, job readiness courses and early intervention systems. Academic supports. Decrease remediation and the level of developmental education needed to ensure college readiness in reading and math, thus decreasing obstacles to college success and job-specific skills. This collaboration effort crosses educational and community organizational boundaries, defragmenting services and establishing seamless supports for a population of youth who deserve to be re-engaged as positive and contributing members of society. 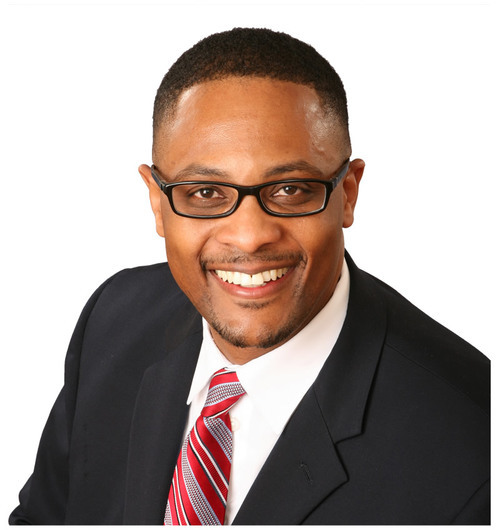 Andre D. Spencer is superintendent of the Harrison School District Two in Colorado Springs, Colo.
Did you know there have been significant achievement gaps in NAEP math scores between ELLs and non-ELLs since the 1990s? Year over year, this population continues to grow, and so do the math score gaps. Prepare your district with strategies to support this growing group of learners.